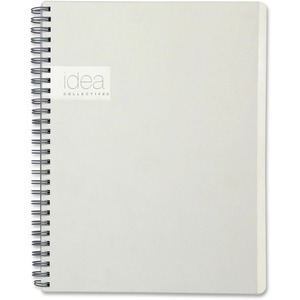 Soft-cover notebook features a date header and purpose field for a more detailed method to organize your notes. College-ruled sheets are perforated for quick, clean removal when needed. Double-wire binding opens completely on desks for a more enjoyable writing experience. Notebook is perfect for keeping notes, planning and more. Sheet Size 7" x 9 1/2"